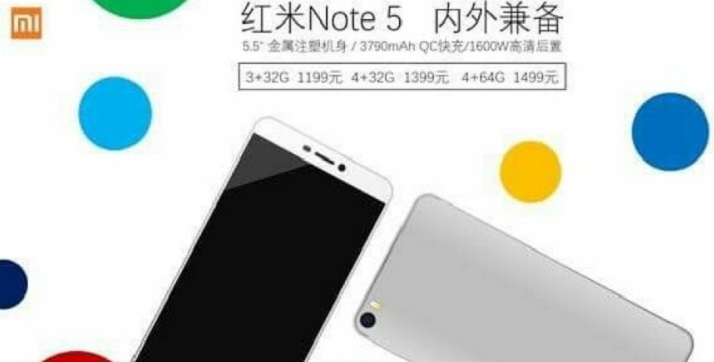 As per rumors and leaks spreading all over the internet now a days, it seems that the upcoming Redmi Note 5 smartphone from Xiaomi is going to be released very soon, and its further expected that the latest Xiaomi Redmi Note 5 will be publicly available at the end of current Year 2017 Q4 (November-2017) in China first, and then globally in next Year 2018 Q1 (January-2018), most probably in India first as International Version. It's a historic tradition of Xiaomi to release their new devices first in Chinese market and afterwards in India and then rest of the world. So today, we are revealing some useful and important Xiaomi Redmi Note 5 Specifications, Features, Price and Release Date details. Xiaomi is well-known for its value for money smartphones and other devices, and just like Redmi Note 4 success and its record breaking sales all over the world, one can expect the same success for upcoming Redmi Note 5 as well. 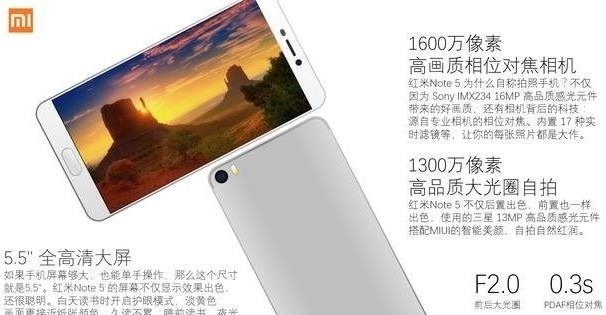 If leaks and rumors are to be believed, then Xiaomi Redmi Note 5 software will run MIUI 9 custom user-interface based on Android Nougat v7.1.1 mobile operating system, and this can further upgraded to the latest Android O v8 in future for sure. The display screen size will be 5.5-inch 1080p FHD IPS screen with power-efficient chipset CPU powered by Qualcomm Snapdragon 660 or 630 with Kryo cores GPU built on a 14nm process. 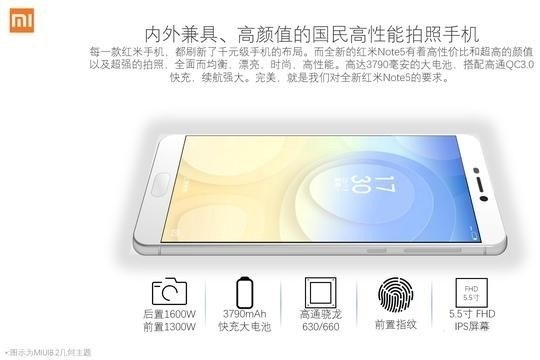 The battery of Redmi Note 5 will be 3790 mAh, which is slightly smaller than on the Redmi Note 4 i.e. 4100 mAh. 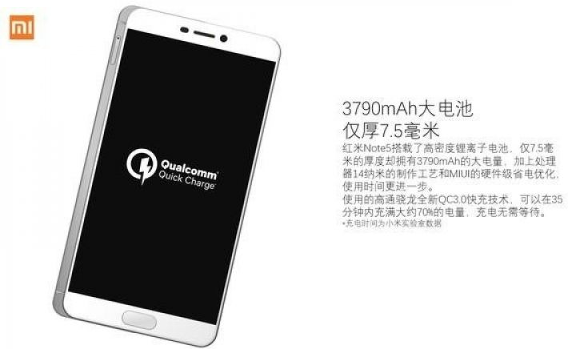 This reduction in battery is because of 7.5mm thickness to make the device slimmer, and the battery does support QuickCharge 3.0 with USB-C type port for connectivity. 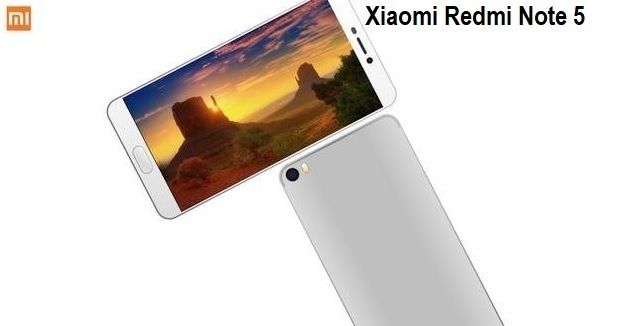 The rear camera of Redmi Note 5 will sport a 16 mega-pixel with Sony IMX 234 sensor, 0.3s focus lock (PDAF) and f/2.0 aperture, while the front selfie camera will be of 13 mega-pixels. The upcoming Redmi Note 5 official price is expected to be 1200 (CNY), 1400 (CNY), and 1500 (CNY) for 3GB RAM / 32GB storage, 4GB RAM / 32GB storage, and 4GB RAM / 64GB storage respectively. After converting the Redmi Note 5 Price in USD and EUR i.e. $175, $205, $220 and €155, €180, and €195 respectively. As i told you earlier, the Redmi Note 5 Smartphone will be available first in China from Q4 (November-2017) of this year 2017 and the international version wil be released in Q1 (January-2018) of next year 2018 in India first and after that in rest of the world.